Technically I took this off the loom at the beginning of 2017, but most of the weaving happened in 2016 and as you can tell from the creases, it’s been languishing in a cupboard ever since. Why? Well, I was disappointed with it. Unlike my first skinny shawl, the shaping on this one went haywire! Which was only my own fault for weaving when a bit tired (never a good idea). 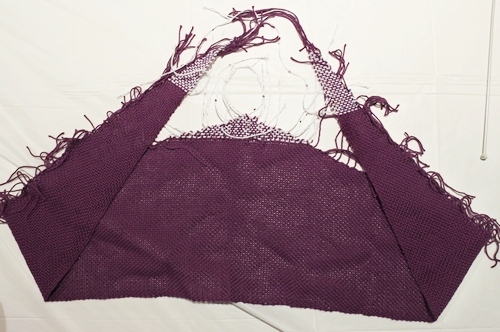 Still, it was nice to see the way the fringe (while unfinished still) worked and the overall weave was nice and even. 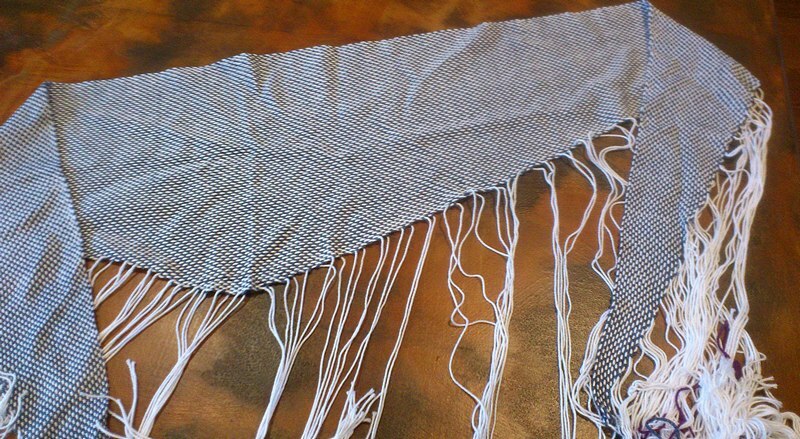 The lesson for me from both shawls is that shaping on the loom works, but needs maximum attention and preferably you should complete the project without any long gaps so you keep your rhythm. All good to know!